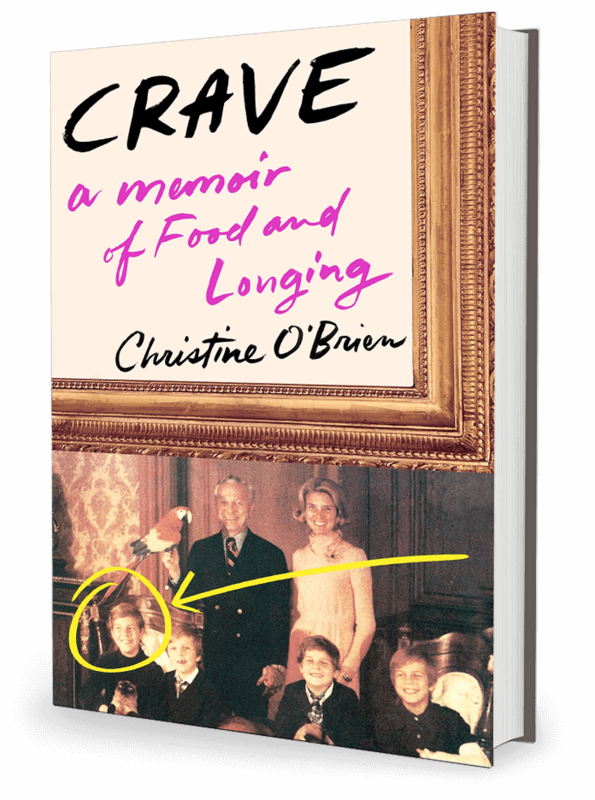 Christine O'Brien is the author of the new book Crave: A Memoir of Food and Longing. 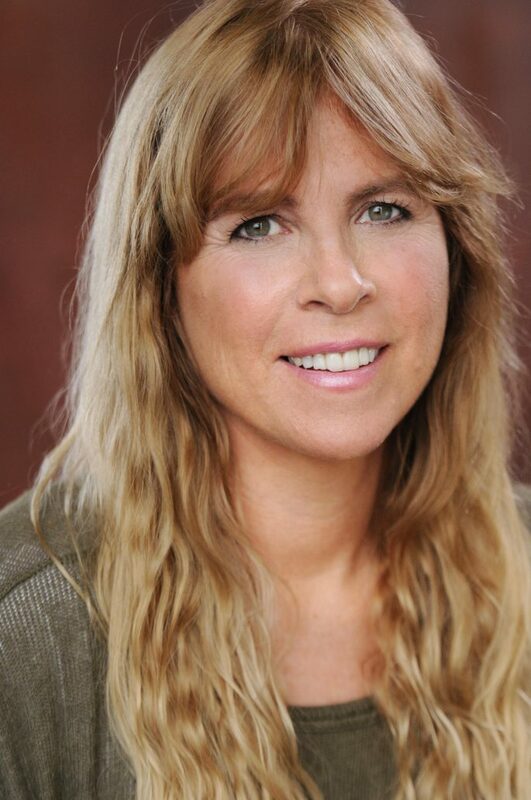 Her work has appeared in publications including The Seneca Review. She lives in Walnut Creek, California. Q: At what point did you decide to write this memoir, and how long did it take you to write it? A: My first impulse is to answer this question by saying that I’ve been writing about my life since I was 9 and begged my mother to buy me a very ugly little green diary with gold-edged pages and a lock and key attached. I’ve always had the desire to record my life’s events. More specifically, I began working on shaping various tucked-away pieces of my writing into a memoir while I was in the MFA program at Saint Mary’s College of California. In the MFA program I worked on the story of the Program for a year and the manuscript became my thesis. Many more years went into the book after I graduated, in 2011, as I attended to it on and off. If I string together the hours I put into it, I would say that I’ve spent roughly five to six years working on this story. Q: How was the book's title chosen, and what did you and the other members of your family crave during the years you were growing up? A: The book was originally entitled Hungry but after Roxanne Gay’s memoir, Hunger, was released my editor at St. Martin’s Press thought we should rename it. My brothers and I craved almost anything you could think of because you name it, it was off limits. Literally. Even something like salt or pepper took on larger-than-life meaning because we were allowed no spices, even. My personal tormentors were chocolate, steak, hot peppers, vinegar. Things I eat regularly now, interestingly, which to me demonstrates how organic to my make up the desire for these foods was. My mother’s admonishment that I “wouldn’t want them anymore once my body was pure” was incorrect though I believed her at the time. Q: The book includes a great deal of information about your various family members. What does your family think of it? A: I was worried about my youngest brother, Braddy’s, reaction to the book since his high energy level factors in, heavily, as one of the reasons my mother implemented the Program to begin with. But when I gave a rough draft to him to read and asked him to let me know what he wanted me to omit and if he’d like it if I changed his name, he told me to keep his name and sent me his favorite line of the book, “the diet my mother clings to to save her marriage is the thing that will tear it apart.” The other two brothers have been equally supportive. I come from an amazing family, really, and have to give my parents credit for creating a culture of love and support that my siblings and I have been able to perpetuate to this day. I’m also thinking that the fact we were in the trenches together, living with my father’s raging and with my mother’s dietary regimes, engendered an unbreakable bond. Q: What do you hope readers take away from your story, and what impact did writing Crave have on you? A: Originally I felt extremely guilty writing this book as I believed it would seem like a condemnation of my mother which was something I didn’t at all want. I’ve been so heartened to hear that readers are feeling, instead, that I portray both parents in a loving light, as people who, despite their flaws, were doing the best they could. I would like readers to feel the inevitability, based on my parents’ personalities and backgrounds, of the unfolding of unwanted events. To me the Program represents any playing field in which differing and nonnegotiable human needs intersect. I wanted to present all sides, clearly, so that the family’s implosion and my later implosion as an adult, makes sense. 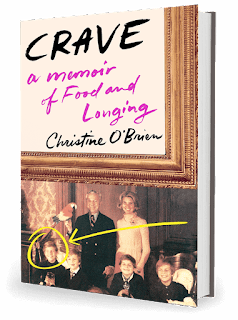 A surprising impact that writing Crave has had is I have come to a deeper understanding of my mother’s motivation in implementing her diet regime. Any residual anger has vanished. A: I’m working on an addendum memoir, The Gods of Point Lookout, culled from that original ugly green diary I mentioned, and two others, in which I document an unexpected plot twist the summer I turn 16. It’s 1976, the Bicentennial summer, and our tiny beach house town is celebrating the country’s independence. We are one year into the Program and my brothers and I are very hungry. I am floating blissfully, even so, having fallen in love for the first time, a state of affairs which brings me face to face with the thing that enchains me maybe even more than the Program regime, my inability to insert myself into my own life. Will I overcome the parental messages that have led to my paralysis? Some of these events are mentioned in the middle section of Crave, but after discovering these lost diaries -- after I finished Crave -- I realized the account of this summer tells a separate story with different themes, one in which the narrator embarks on a challenging and high-stakes journey towards selfhood. As I write, I’ve noticed I’m feeling that old familiar drive that says this is a story that needs to be told. A: When I was growing up, I keenly felt the bleakness that was present in our household. A part of me resonated with the sadness I sensed in my parents and in the world around me. I was 8 when Martin Luther King Jr. and Robert Kennedy were assassinated. Vietnam was raging and young people were protesting. I sang “We Shall Overcome” as I walked through the halls of my elementary school wearing my father’s Hanes t-shirts on which I drew peace signs with magic marker. I wanted to change the world and at the same time, I also wanted to escape it. Despite the fact that memoir is the genre that comes most naturally to me, The Chronicles of Narnia were my favorite books growing up and I desperately longed to find the doorway in, myself. I am also working on fiction that explores this sort of escapism and enchantment of some kind. Writing it is as close as I can get, I suppose, to losing myself into a magical realm. It’s a challenge to make the unreal, real, and a great deal of fun.